To Take or Not To Take – What do you really need on a business trip? Packing for a business trip can have its challenges. You want to ensure that you pack everything you need, but when you arrive at the other end you want to look professional and well organised. Being seen to lug hugely oversized bags with overflowing gadgets and gizmos is not the first impression you want to make. For any seasoned business traveller, the risks that come with checked baggage is obvious. Not only is checked baggage more time consuming, costly for the company and difficult to carry, there is always a risk that it won’t arrive in the same destination as you do. Can you really afford to turn up at your meeting the next day without your suit? With this in mind, it’s always safer to travel with carry bags only. This way you can be confident you will have everything you need once you arrive. The difficult part of this, however, is getting all that you need in just a small bag. You want to find a bag that fits comfortably into airline limits, but is as large as it can possibly be. Not all airlines have the same policies, but as a guide all major airlines accept carry on bags that are 22” x 13” x 9”. As far as style, the most popular is the common rolling suitcase with stiff rectangular sides. However, the problem with this shape is that it is not particularly forgiving of men’s jackets. 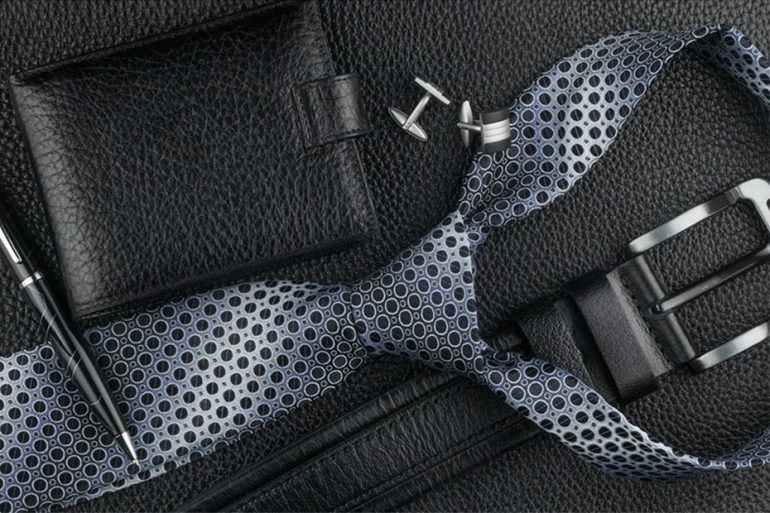 If you plan on packing your best suit, you may be better to opt for an additional hanger bag, a military-style duffle, or a large messenger bag. Aesthetically, your bag should look professional and sophisticated, so avoid bright colours or crazy patterns. Instead, look for something in an elegant charcoal grey, black or navy blue, and preferably in leather for cleaning purposes. Having a strong indication of what you’ll be doing when you arrive in your destination will help you to pack versatile items. Try to avoid a different outfit for every task, and instead pack items that can serve several functions. For example, some shirts can be both casual and smart depending on the pants, shoes, and jacket they are paired with. Start by packing the clothes you need for your meeting, and then start working on other items. If you are going on a conference that lasts more than a few days, you will more than likely need to pack extra clothes. But if you pack carefully, this doesn’t have to mean more baggage. Accessories can be your best friend when travelling, and take up little space in your luggage. Changing your tie, socks, belt, jewellery etc. can make a big difference to your look, without the need to pack lots of different clothes. Experts suggest that by adding a few carefully selected accessories in your bag, you can survive on just less than 10 for two weeks and still mix up your look! If you travel frequently, a good idea is to pack up a separate toiletry bag that contains everything you need. This can stay packed and ready to go in your suitcase. You can also do this with sleepwear that can double up as both hotel lounging clothes and workout gear. If you require documentation for a presentation, work out a way to print it once you’ve arrived. You can then just pack a USB and lighten your load while travelling by not having to carry all your documents with you. Simplify your beauty routine by opting to take some combination products, such as a shampoo/ conditioner combo or moisturiser with built in SPF. Even better, just use the hotel’s complimentary toiletries. Your regimes hard work won’t fall apart with just a few nights off. Never pack things ‘just in case’. If you don’t have precise plans to wear a particular outfit, don’t pack it. Plan your wardrobe before you go and, providing you have a few versatile items you can mix and match, you’ll be fine. While accessories allow you to pack less bulkier items, they shouldn’t be your best accessories. Avoid packing your really expensive watch or your grandmother’s necklace, and instead look for costume jewellery and less expensive timepieces. If you must take your most cherished items, ensure your hotel room has a safe or always carry them with you. While you may love your gadgets at home, you can live without most of them while travelling. Before you pack anything, take a look to see if there is an app you can temporarily use in its place. Turning your smartphone or iPad into a multi-tasking gadget can save you much needed space, and reduces the risk of expensive gadgets getting broken. If you have a laptop, however, bring that in place of your iPad. Your iPad may be lighter and slimmer, but a laptop can do a whole lot more in terms of business. Also refrain from packing a hair dryer or hair straightener. Most hotels have hair dryers, and there are plenty of stylish up do’s that look professional and don’t require a straightener. The rules for shoes should be one pair of casual, one pair of smart. No more, no less.